A vacant auto repair shop along West Colfax Avenue has changed hands. 4200 W Colfax LLC purchased the property at that address last week for $755,000, according to county records. 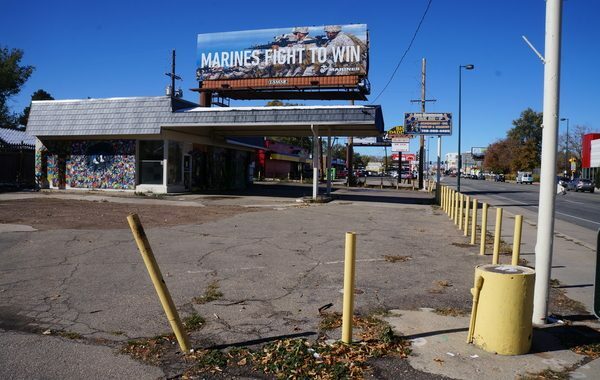 The property consists of 1,174 square feet on a 0.22-acre lot, on the southwest corner of the intersection of Colfax Avenue and Raleigh Street, according to records. The new owner hasn’t submitted any redevelopment plans for the site. The sale price works out to $643 per square foot for the building or $81 per square foot for the land. 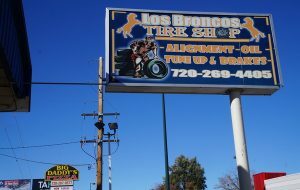 Los Broncos Tire Shop previously used the building, according to signage. The business’ Yelp page suggests it was open as recently as early May. The property was sold by Rock Holdings LLC, which purchased it in November 2002 for $125,000. The purchasing LLC was formed by a Daniel Newman, listing an office address that matches a residential property in Denver. An Amy Schneider and Michael Huling also are members of the LLC, according to loan documents. Attempts to find contact info for them were unsuccessful. Schneider and Huling also own the home behind the parcel that just sold, at 1477 Raleigh St. No one answered the door Monday morning.